Beautiful disposable paper ware for spiritual enrichment. The increase of people’s awareness of environmental issues globally, we start to refrain from using one-time only paper-made plates and cups, but we still don’t want to use plastic plates simply because we want to enjoy great food arranged on beautiful tableware. This spirit of hospitality has been known as a Japanese tradition and aesthetic since ancient times. Born from this idea, WASARA is an eco friendly paper tableware company that still keeps a sense of this type of hospitality. Shift introduces some of the WASARA series materials used and their ecological approach. Please introduce some of WASARA tableware. 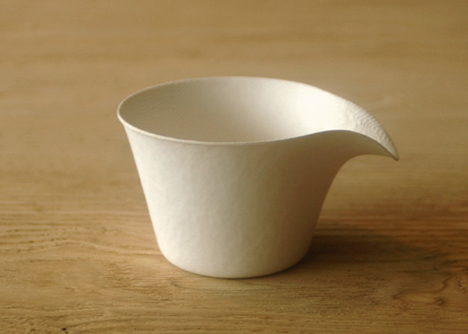 One of WASARA’s paper tablewares that we wanted to produce the most. We designed it to give a cool appearance to people drinking wine with paper made Wine Cups. The item was built under the spirit to give aspects of enjoying tasty wines with new style of paper cup. It’s a coffee cup if you hold the handle, but it can be used as a simple container/cup for sauces and dressings if you hold the opposite side. 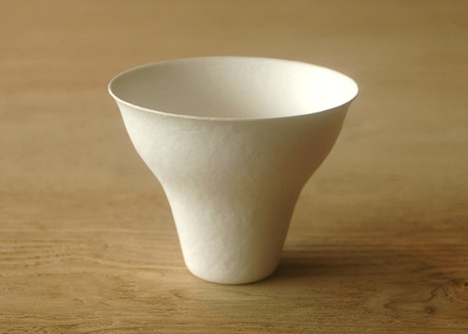 This is one of the products that reflects the philosophy of WASARA as a functional beauty form, which cannot be realized by the traditional paper cup. When you use paper tableware you are rarely seated at the table. 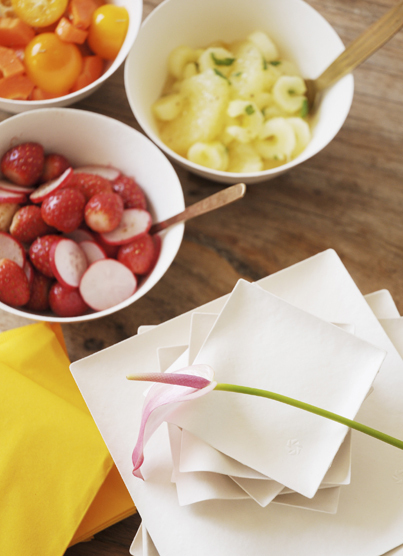 Paper tableware is mostly used in a scene where you are at buffet parties walking around with a plate in hand. We imaged such scenes and followed it to achieve the form that was created to fit our hands. The wave shape of Kaku and Maru is designed for this reason. 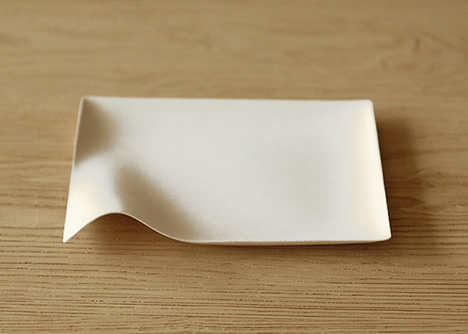 We think the form is inspired by Japanese distinctive eating culture as we eat holding tableware with our hands. Please tell us about the materials used for WASARA. The used materials are reed, bamboo and bagasse, sugarcane wastes. How did you start to focus on these materials? 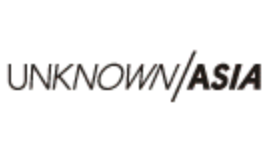 Please tell us about their environmental and usability advantages. If you manufacture containers for food, it is prohibited that you use recycled paper like waste paper in order to prevent the mixing of fluorescent paint. Most existing paper plates and cups are made out of virgin pulp (which is made of wood). We had a theme for WASARA to use wasted and less depletable materials instead of using valuable resources for one-time use. After examining various materials, we ended up using reeds, bamboo and bagasse because of the cost and adaptability to molding. Reeds and bamboo are perennial plants that have a strong life force and grow several meters per year. They spread in large quantities even if you don’t give agricultural control to them such as cultivating. It can be said that they are inexhaustible materials which give the possibility of a harvest annually. And sugarcane production amounts to about 12 million tons yearly, the 7th in the world among other farm products. After extracting juices for sugar production, there are stems, leaves and enormous amounts of extracting waste thatt is called “bagasse” which produces about 1 million tons of the waste in the world per year. In the sugar mill, bagasse is utilized for running energy sources by burning them. In the large sugar mills in Asia and South America; however, there is a large amount of surplus bagasse waste. Utilizing bagasse pulp instead of wood pulp links to the practical use of resources and forest conservation effectively. Did you have any difficulties fashioning pulp-made tableware? “Pulp-made tableware” is already seen in the market; the product is called “molded pulp.” I think it may be said that it’s a manufacturing method applied in the process of making Japanese paper. One of the examples is egg packaging made out of paper. As fibers of reeds, bamboo and bagasse are extremely short, it is difficult to form something long and narrow. The flat plates are manufactured in the earlier stage to sell as products. It took more time to develop bowls and cups because of its difficulty molding them. In addition, we attempted to design tableware that doesn’t have margin areas or bent-around edges seen on the traditional paper plates and cups. It was realized in order to create the stylish form of paper-made tableware…it had to have trimmed edges. It took a long time to develop the trimming technology, as it has not been utilized for the traditional paper containers. Do you have any ideas to explore the use of reeds and bagasse for other products? We’d like to apply them to interiors and furniture which builds a sort of lifestyle. 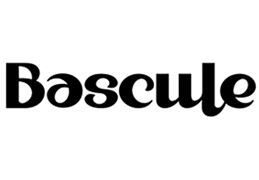 It would be nice if we could apply bagasse to various things that are made of virgin pulp without losing its function. Please tell us your upcoming plan for WASARA. We are planning to explore WASARA overseas beginning this year, and are more active in approaching ecology nationwide – especially in Europe. It will be a good opportunity to make a transition from plastic products to WASARA. 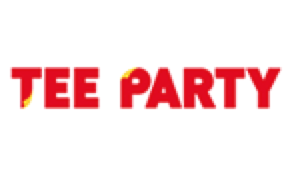 Another thing is that there is a mature party culture in the western countries; people are interested in using WASARA for parties from personal small parties to big high-end parties. 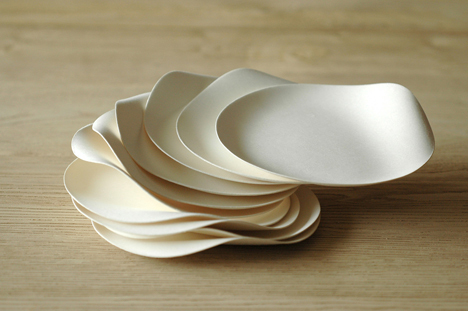 In the next year, we will approach different areas to make WASARA the standard for paper tableware. 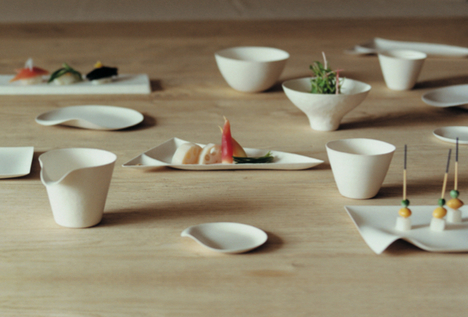 WASARA tableware can be purchased at various shops nationwide in Japan. 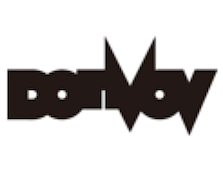 Check out the shop list here. It would be a precious moment enjoying special meals with Japanese style modern tableware for spiritual and environmental enrichment.